Don’t stop at your paint – clay your glass! Diamondite Spray Clay is formulated to remove embedded contaminants from glass to create a clean, smooth appearance. It can’t actually remove etched spots, but it will thoroughly clean them so they appear virtually invisible. Water spots created by mineral deposits will disappear, along with oily films and dirt. Your windshield will appear crystal clear to the naked eye. 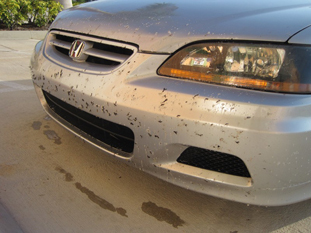 Bugs, dirt, and debris hit your windshield with tremendous velocity. Believe it or not, they stick in your glass, not just on it. That’s why it’s so hard to get your windshield clean. Under a microscope, glass is pitted. Those valleys fill up with contaminants that your average glass cleaner can’t touch. Acid rain poses another problem by etching the glass, giving debris more places to hide. Diamondite Spray Clay uses a Kaolin clay formula to lift contaminants out of the deep pits in the glass and suspend them until you wipe them away. Just like paint clay, it pulls out debris that washing misses. Even your average glass cleaner doesn’t clean deep down. Nothing cleans glass like Spray Clay. Spray Clay works best as part of the Diamondite Glass Cleaning & Protection Kit. Clean the surface of the glass first with Diamondite Glass & Surface Cleaner. Then spray the glass with Spray Clay and scrub lightly with the included sponge. Wipe the surface with a microfiber towel. Then apply Diamondite Shield to seal and protect your glass for up to 6 months. 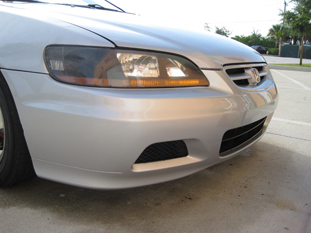 Diamondite Spray Clay is the best product on the market for clarifying automotive glass. Get rid of water spots and embedded filth so your view of the road is crystal clear.